This highly illustrated and beautifully produced coffee-table book brings together over 100 of the Georgia Straight's iconic covers, along with short essays, insider details and contributor reflections, putting each of these issues of the publication into its historical context. For 50 years the Georgia Straight has served as the voice of reason during a number of turbulent times. With fearless tenacity, the Straight has always taken the good fight to the powers that be, whether they come in the form of big business, city hall, the provincial legislature, parliament or just plain human folly. While known for hard-hitting journalism and pointed prose, the Straight has also always been a purposely visual publication. With eye-catching design strongly reflecting the times – from ’60s psychedelia to new-millennium computer graphics – the newspaper has charted a course through both artistic trends and meaningful writing. Together in one place for the first time, this collection of Straight covers spans five decades of newsworthy figures, events, issues and pop culture. 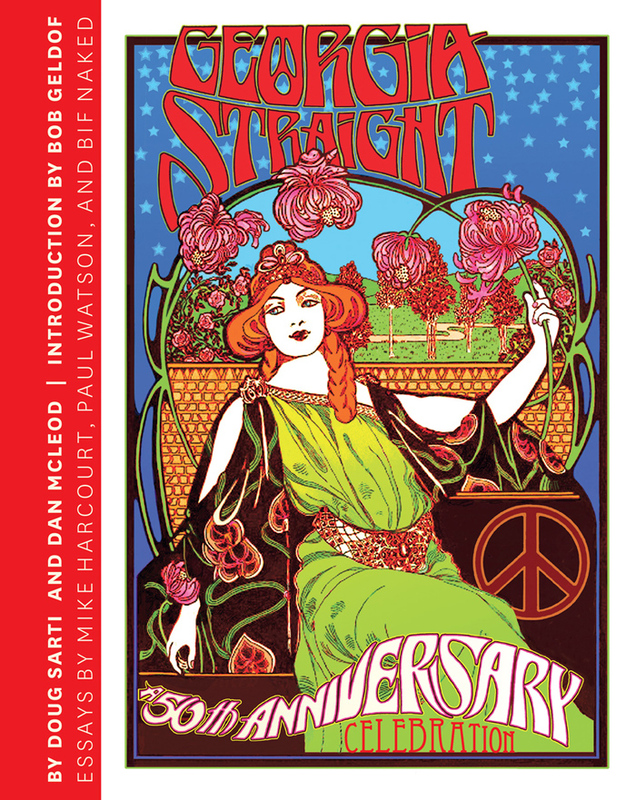 A visual time capsule of sorts, it’s a significant graphic chronicle of both the counterculture and recent Vancouver history – after all, if it was important, entertaining or inspiring, the Straight covered it. With work from a multitude of artists using various media and contrasting styles, this collection illustrates – literally – how the Straight was able to seize the moral high ground in the culture wars and turn civil disobedience into an art form. Along with a sense of history, there’s a strongly ingrained emotional component to these old Straight covers: they’ve lost none of their power to evoke an impassioned response. Some are beautiful, some are funny, some will shock and some will enrage. But they’ll all make you feel something.